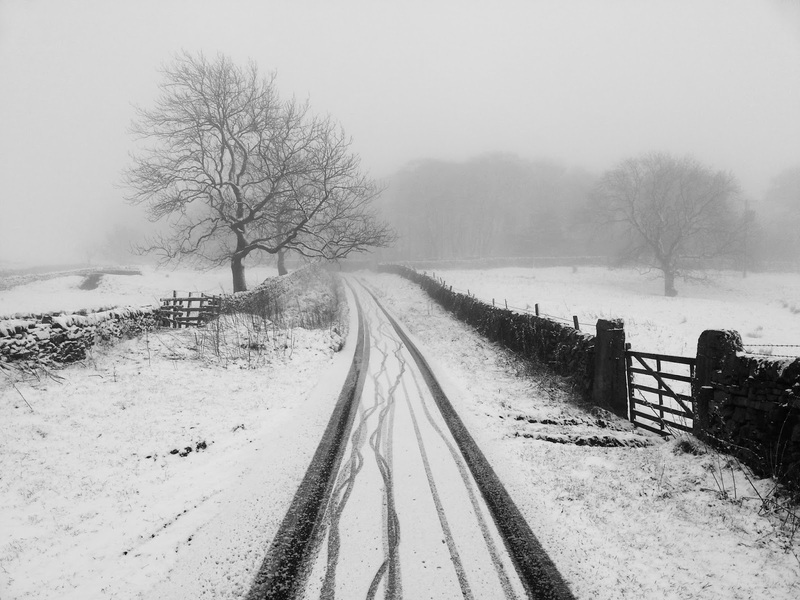 Interesting walk to Buxton today, winter returned! Real blizzard on the way in this morning and again coming back this afternoon. In between sunny spells! Here’s a phone picture from this morning. Last Sunday my bad back went into spasm after 3 days in the darkroom and quite a few hours on the computer working on my 2 new books. It was very stiff for several days but is easing off now. A few easy walks and as little work as possible usually helps. I walked a bit Monday, Tuesday, Wednesday, Friday and today I made it to Buxton and back. The next 2 days should be darkroom printing days to catch up with orders. At least the book layouts are done. The next job is adding the picture captions and then it will be back to me for checking them.